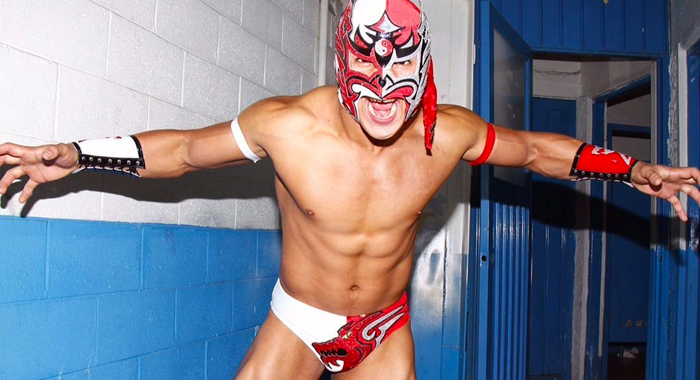 The Wrestling Observer included a fun story about Dragon Lee in the latest newsletter. During the filming of Exation, the reality show that Dragon Lee recently left, Dragon Lee attended a concert without his mask. When he realized that his identity could be exposed, he reportedly switched clothes with someone to fool photographers. The mask is an important part of a luchador’s identity, and to be seen without it is considered a grave sin. Lee also said that he left the show due to a broken ear drum. He suffered the injury wrestling, and expected to fight through it. As the injury got worse, he had no choice but to leave the show. Lee expressed surprise over the following he’s gained from the popular show.